With a new villain emerging from the shadows, did Red manage to save Liz? 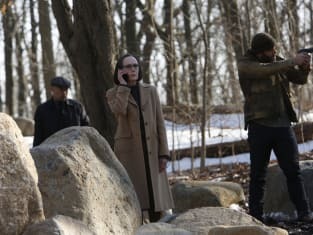 That was a huge question on The Blacklist Season 4 Episode 20 when it emerged that The Debt Collector had a score to settle with Liz. However, Red decided it was best to turn to someone who hated him in the hopes of cutting a deal. Meanwhile, Ressler faced an unexpected complication in his efforts to stay ahead of Agent Gale's investigation. NBC Finale Spoilers: How Will Chicago Fire and The Blacklist Conclude? Use the video above to watch The Blacklist online to get up to speed with how the action played out for the characters.